Saints Alive is an educational charity operating in the UK and in Russia. An English edition of the most important text in St Seraphim Studies. Discover a world of miracles, love, faith, of betrayal, sorrow and sadness, of prophecy and unimaginable joy! This is a story and a history of simple folk and spiritual giants. We meet the boy Prokhor emerging as Saint Seraphim of Sarov, one of Russia’s best-loved saints. 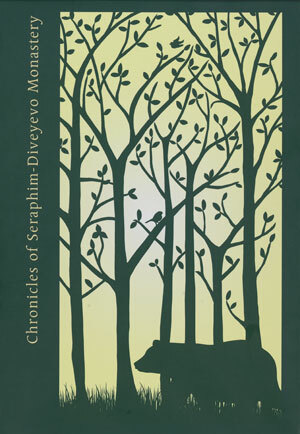 This is the first English translation of the Chronicles, recording St Seraphim’s extraordinary life and his loving care for the women’s monastery of Diveyevo. We witness the healing, prophesying and guiding of the thousands of people who visited him. We see him transfigured by the Holy Spirit, illuminated by Divine light. St Seraphim transcended the boundary of the spiritual and material – as saints so often do. The Chronicles show us not only the way to safeguard our world for future generations, but how holiness may be grasped!